Sustainer are our Partners. Sustainers live a busy life and have many commitments, yet they make the effort to support us. They are compassionate, and feel so bad for the animals killed and mistreated in our local shelters and in our streets, that even though they cannot be at the refuge in person and help us with us with the daily care of our kitties, they can provide us with the monthly support that has quickly become the foundation of our rescue organization. We cannot do what we do without your support, and that is why you – just as much as our staff and volunteers and cats (and dogs, chickens, and goats – all rescued!) are Goathouse. When you sign up to become a Sustainer for our refuge, you became part of our family and team, which has one mission only: to help as many abandoned, abused, and forgotten kitties as we can. $250 per month will let us feed 10 cats a high quality diet for a whole year! Why are Sustainers so important? • They give us a known income for the cats, allowing us to plan wisely for the future. 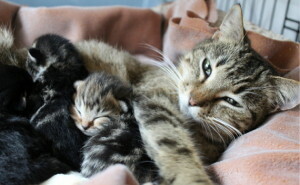 • They give us the ability to continue to work toward our goal of ensuring a stable future for the cats. • They help us plan future fundraising and grant submission efforts with greater accuracy. Just to feed our current population requires $6,000 per month. As a no-kill shelter, we are committed to giving our cats the best care we can while trying to find them loving, adoptive homes. If your monthly donation is $100 a month and above, you will receive 20% off adoptions, purchases through the store and gallery, event tickets and Tuscany Villa Rentals. If your monthly donation is $50 a month and above, you will receive 10% off adoptions, purchases through the store and gallery, event tickets and Tuscany Villa Rentals. If your monthly donation is $49 and below, you will receive 5% off adoptions and purchases through the store and gallery. To take advantage of these offers, simply add a note with your payment that says “Sustainer” and apply the proper discount or call the office at 919-542-6815 and we will be happy to process your order! 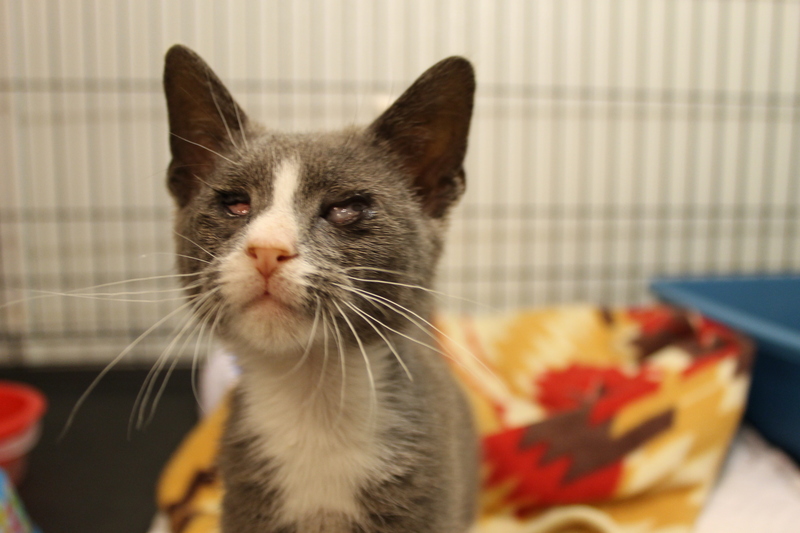 Remy says I know I’m not pretty to look at, but with the help of sustainers like you, I got the sight in one eye back! 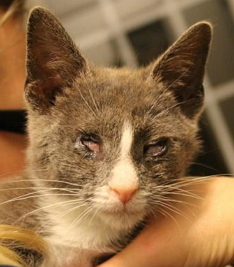 Remy was blind, abandoned and hungry when he was found outside in mid-December of 2014. Cold, sick and skinny, he was desperately calling for anyone to help him. His eyes were so infected that one is completely gone and we worked desperately to save the other. Remy was not a feral kitten though – he is one of the sweetest, most affectionate, and social kittens you’ll ever meet (watch Remy love getting petted, you can hear his purrs)! This tells us that someone failed to spay his mom, fed and socialized the kittens that were born, and then dumped them outside when they were no longer wanted, even though it was cold and rainy outside. Sustainers let us rescue as many cats & kittens as we can with our limited resources – kittens like Remy, whose eye condition and upper respiratory infection would have had him immediately put down in a kill shelter, but thanks to you, we rescued him and were able to save some of his eyesight. 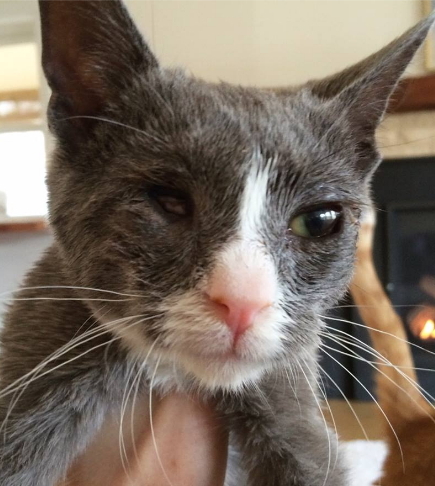 Remy after surgery – look at his beautiful green eye! 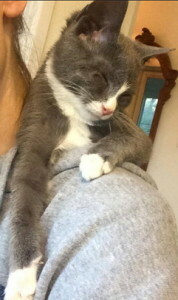 Thanks to sustainers, Remy is in a loving home! Sustainers let us address urgent special needs cases like Remy. Having a regular monthly income helps us enormously in paying for the food, shelter and medical care for the animals. Already a sustainer? Please consider an increase in your monthly donation! 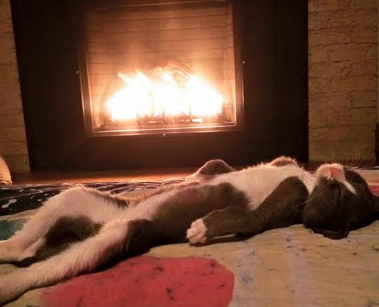 If you could increase your monthly donation by even $5.00, we could help save even more animals. Invite your friends to become sustainers. Help spread the word about the Goathouse Refuge and assist us in building our network of supporters. Do you only want to give a one-time gift? Click here to Donate a single time.